According to Elders Weather, temperatures are tipped to top 45C at Walpeup in the Mallee tomorrow and Hay in the NSW Riverina on Saturday. Balranald, Griffith, Hay, Kerang, Mildura, Ouyen, Swan Hill and Walpeup are all expecting four days of 40C-plus temperatures. 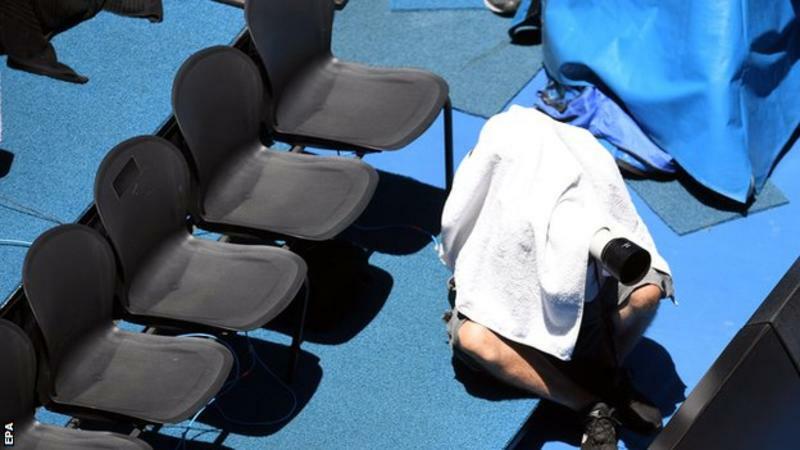 Bureau of Meteorology duty forecaster Jonathan How said very hot conditions were the result of a "very hot air mass being dragged down from the interior" of Australia. At noon today it was already 38.9C at Hopetoun, and 38.3C at Mildura and Walpeup. The heatwave is expected to give records a run for their money. 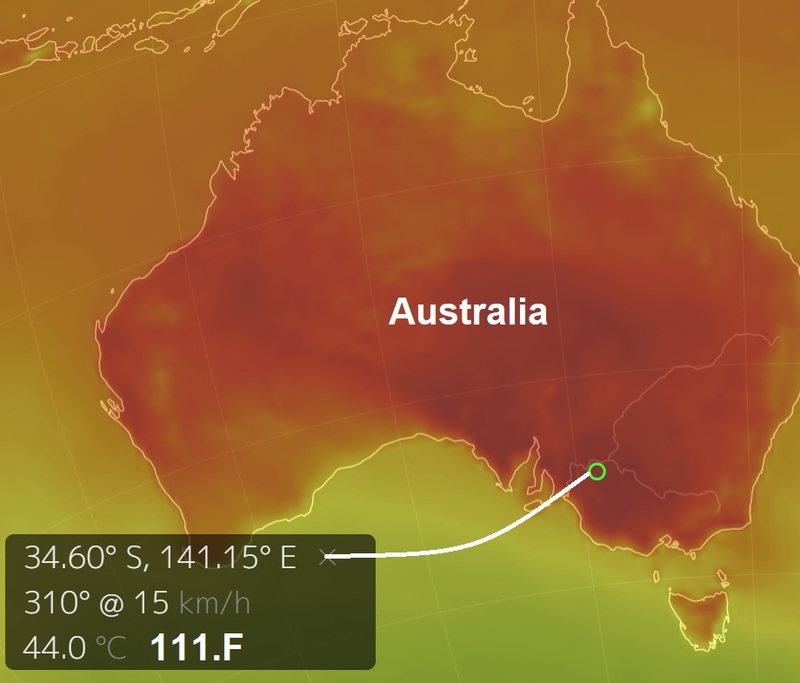 Walpeup's warmest January day occurred in 1968 when the mercury hit 46.6C. Hay's record hottest January temperature of 46C occurred more recently in 2001. Hay has recorded five days above 40C so far this summer while Walpeup has recorded four, including 45.2C recorded on January 6. At Hay, the mercury is forecast to drop to 39C and 37C on Monday and Tuesday before hitting 40C again on Wednesday. The heat, coupled with tinder dry conditions, has emergency services on standby. Walpeup has recorded just 2.4mm of rain since December 4. The Country Fire Authority has declared a total fire ban, and issued a severe fire danger rating, for the Mallee, Wimmera and South West fire weather districts today. The Northern Country, North Central, Central and North East districts have all received a high fire danger rating.